On Friday 29th March our Managing Director, Ashley Pugh, will be joining other community leaders and well-known figures to spend some time behind bars at Eastbourne’s historical Redoubt Fortress, in aid of St. Wilfrid’s Jail and Bail fundraising event. Ashley’s only hope of freedom lies in his raising £1,000 in bail funds*. If bail isn’t raised by his court trial on 29th March, Ashley will face a lengthy prison stay in the Redoubts jail. Ashley’s Conviction: Although Ashley dedicates much of his time to high-end jewellery and watches, the fact is not always reflected in his sartorial choices, as in September of last year he was convicted on two counts of crimes against fashion. Prior to the conviction, Pugh was sighted at several exclusive networking events - not in the black tie that is customary of such gatherings - but in a series of increasingly tasteless jackets, shell suits and windbreakers, some of which were reported to be 100% polyester. Attendees of an event in September, at which Pugh was present, said that the definitive low point - on an evening of highs - was the defendant's appearance in a camel coat. We can only assume the act was a misguided tribute to - or channelling of - Only Fools and Horse’s Del Boy. Although Pugh’s intentions are still unclear, the move looks unlikely to be good for his business – which, we hasten to add, supplies only genuine products. Although many trends of the past have had a successful seconds innings, including neon, acid wash and, perhaps inexplicably, velour tracksuits, it’s safe to say that some fads are best laid to rest. Fortunately for Ashley, the inmate jumpsuits in which all prisoners will be kitted out for Jail and Bail look to provide some much-needed respite from his dodgy fashion choices of late. 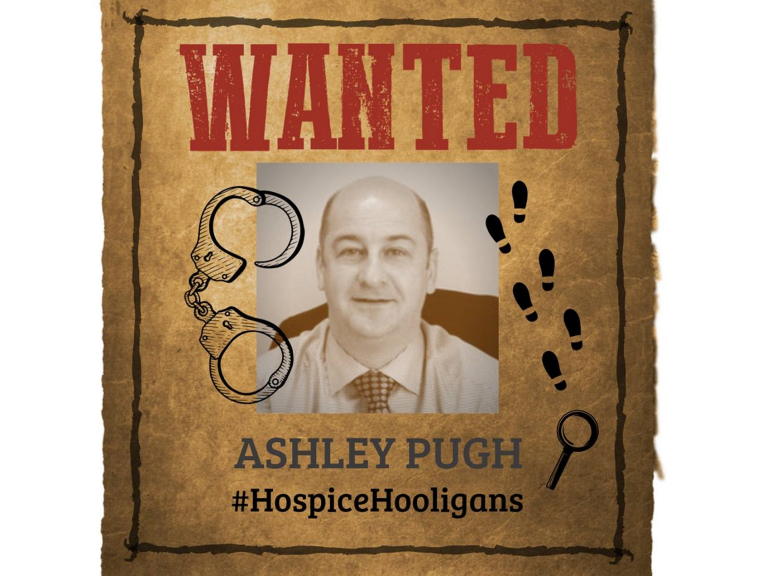 Stay up to date on Ashley’s Jail and Bail journey to freedom via our Facebook or Instagram pages or St. Wilfrid’s using the hashtag #HospiceHooligans. Thank you in advance for your support of St Wilfrid’s and kind donations. * All funds raised will directly benefit the vital work carried out by St Wilfrid’s. W. Bruford are Eastbourne's finest purveyors of Swiss watches, diamond jewellery and luxury gifts. Why not check out this Jewellers business in Eastbourne. W. BRUFORD is a 'thebestof' business member.